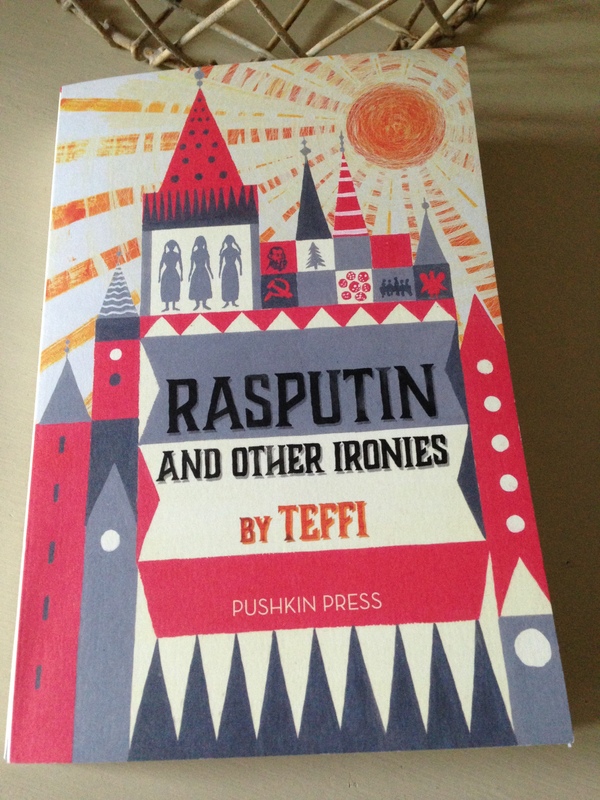 In this post, I’ll be discussing Rasputin and Other Ironies, but before I tell you more about this most intriguing collection, a few words on Teffi herself. Teffi – her real name was Nadezhda Alexandrovna Lokhvitskaya – was born in 1872 into a prominent and cultured St Petersburg family. During her literary career she wrote satirical articles and plays, but by the age of forty, she was publishing mostly short stories. In 1919, in the midst of the Russian Civil War, Teffi left Russia for Europe, eventually settling in Paris where she became a prominent figure in the émigré literary circles. The pieces in Rasputin and Other Ironies have been grouped into four sections, the first of which, How I Live and Work, gives us a view of Teffi’s life as a writer. We see Teffi living and working in a little pension in Paris, her writing table doubling as a dining table, a dressing table and a home for her various possessions. 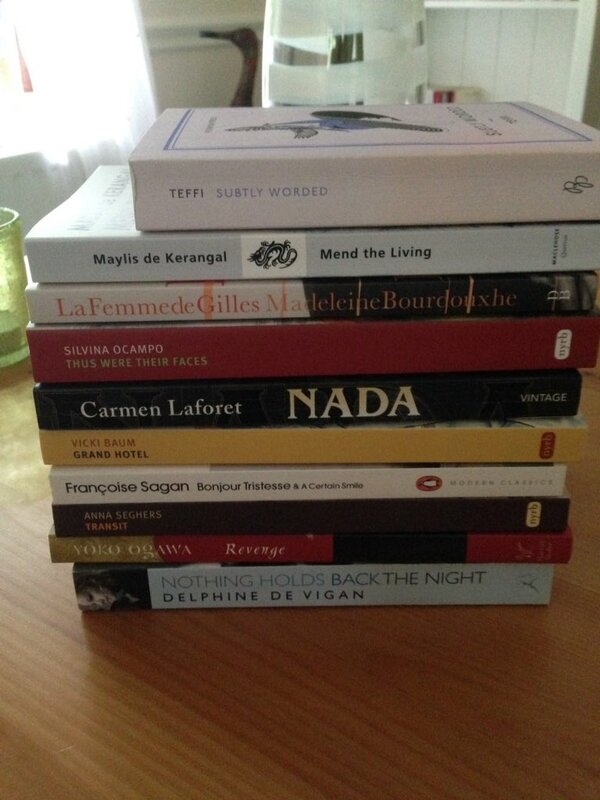 In My Pseudonym, we hear the story behind her adoption of Teffi as a pen name, while the final piece in this section offers an insight into Teffi’s first visit to an editorial office (you can read it for yourselves in The Paris Review). The six pieces in the second section, Staging Posts, focus on Teffi’s personal life, ranging from reminiscences of her childhood and adolescence through to her days as a young mother with a toddler to care for. Liza, a story featuring one of Teffi’s childhood friends, fizzes with the tales children tell to amaze their pals. In the appropriately titled Love, Teffi recalls her first love, an experience saturated with the mix of excitement and pain that is so characteristic of this time in any young girl’s life. In The Green Devil and Staging Posts, both of which focus on Teffi’s adolescence, one can sense her longing to be an adult, a grown-up lady attending dinners and dances and other such affairs. While some of the pieces in this section seem at first rather amusing or ironic, they are in fact underscored with a deep sense of melancholy and sadness, often ending on a poignant note. I found these works some of the most affecting in the collection. Running through this book are hints of Teffi’s longing for her homeland, a world virtually erased by the events of history. 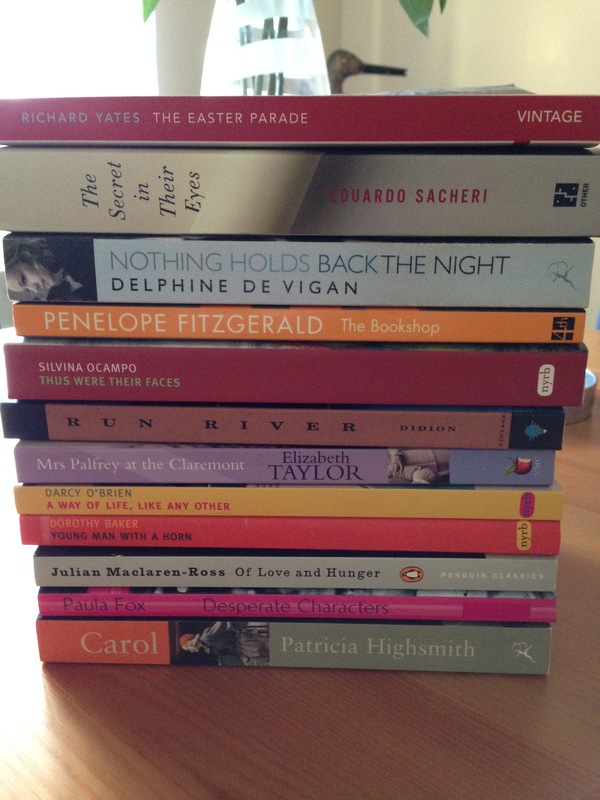 Next comes one of the most interesting sections of this collection, Heady Days: Revolutions and Civil War. Rasputin, Teffi’s fascinating account of her two encounters with this legendary figure, turned out to be one of the highlights in Subtly Worded, and it’s wonderful to see it reproduced here in this new volume. As I’ve already written about Rasputin, I won’t cover it again here, but please do take a look at my previous post for Teffi’s wonderful observations on this mercurial figure. In New Life, one of the longest pieces in the collection, Teffi presents her recollections of Lenin taken from the time she spent working on the literary section of a newly established newspaper, also titled ‘New Life’. (The paper was established to take its political direction from the Social Democrats under the stewardship of Lenin himself.) This is Teffi at her most observant as she offers us a terrifying insight into the psychology of this controversial revolutionary. As far as Teffi could see, Lenin ‘considered everyone to be capable of treachery for the sake of personal gain. A man was good only insofar as he was necessary to the cause. And if he wasn’t necessary—to hell with him.’ All in all, his opinion of human nature was pretty low. Also worthy of a mention here is The Gadarene Swine, a sharp and powerful piece that highlights the differing perspectives of the various factions who are fleeing from the Bolsheviks, in other words, the ‘refugees from Sovietdom’. In this story, Teffi highlights the plight of everyday folk, the ordinary people who find themselves cast adrift in an unfamiliar world with little in the way of food, shelter or social structure to support them. It’s brave piece of writing, all the more impactful for the artful style Teffi employs to send a message to the powers that be. The final section of the collection features Teffi’s reminiscences of some of the writers and artists she met during her life. Authors such as Tolstoy whom she visited in her youth and the artist, Ilya Repin, who painted a very tender portrait of Teffi after being touched by one of her stories, a tale called The Top. In The Merezhkovskys, one of my favourite pieces from the collection, we meet the writers Dmitry Merezhkovsky and his wife Zinaida Gippius (a Symbolist poet) whom Teffi spent time with during her refugee days in in Biarritz. Both unique individuals in their different ways, they ‘each could have been the central character in a long psychological novel’. So out of touch with reality were the Merezhkovskys that they lived in a world of ideas, unable to understand other people or the fundamentals of life itself. Money in particular was a source of frustration for this couple. They were reluctant to pay for anything, often considering as unjust even the most understandable requests for payment (as illustrated in this next passage). They were always irritated, astonished, even sincerely outraged by the need to pay bills. Zinaida Nikolaevna told me indignantly about how they just had a visit from the man who hired out bed linen. 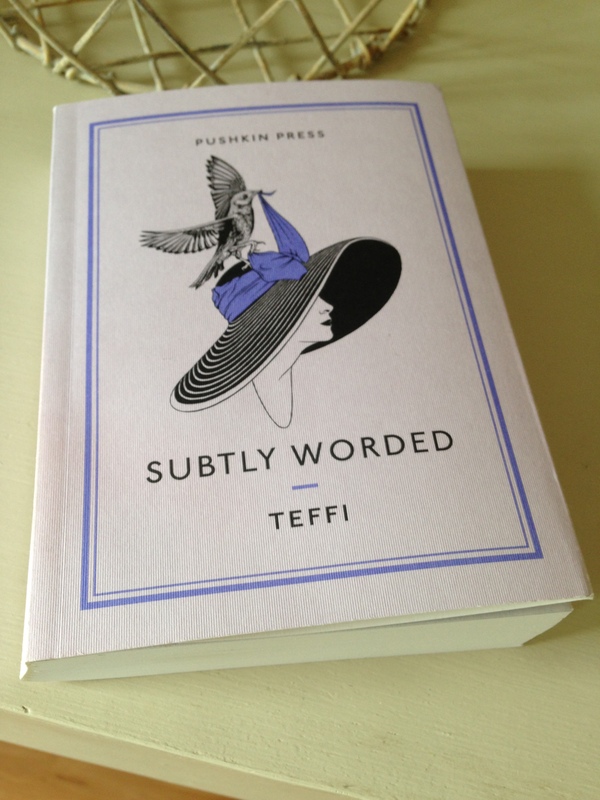 This is another marvellous collection from Teffi, all the more fascinating for its diversity and glimpses of a vanished world. Her pieces are by turns ironic, insightful and poignant. This book comes highly recommended both for fans of Teffi and for readers who are new to her work. I’ll finish with a final quote, one that illustrates another of Teffi’s many talents, her skill for painting vivid pen-portraits in just a few sentences. Here she describes Izmailov, an editor on the Stock Exchange Gazette, a thin rather sinister man, dressed all in black, ‘he looked as if he had been sketched in black ink’. 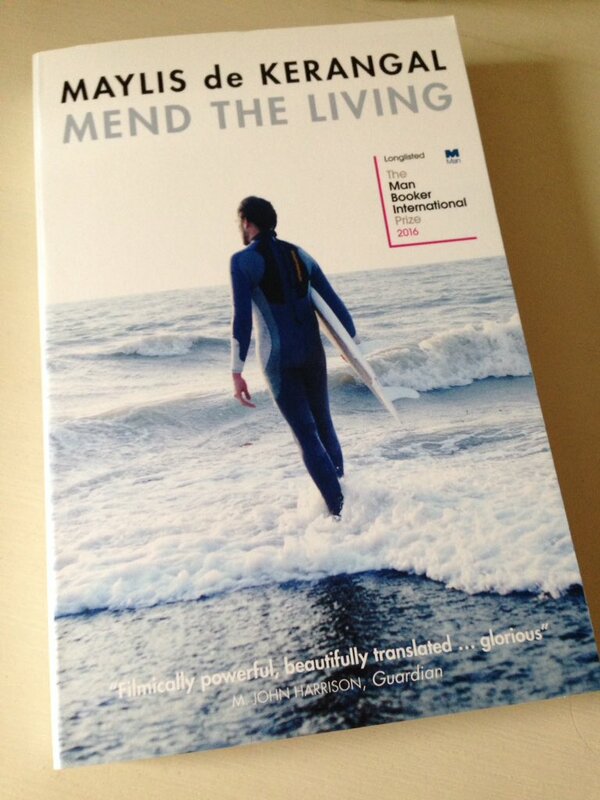 My thanks to Pushkin Press for a review copy of this book. For other perspectives, here are links to posts from Karen, Melissa and Shoshi. Rasputin and Other Ironies was translated by Robert and Elizabeth Chandler, Rose France and Anne Marie Jackson. This entry was posted in Book Reviews, Teffi, Women in Translation and tagged #ReadWomen, #TranslationThurs, Anne Marie Jackson, Book Review, Classics Club, Elizabeth Chandler, Fiction, Literature in Translation, Non-fiction, NYRB Classics, Pushkin Press, Robert Chandler, Rose France, Russia, Short Stories, Teffi on June 21, 2016 by JacquiWine.